In a sudden and unexpected move, multi-platinum hard rock artist Rob Zombie has inked a new worldwide deal with leading rock label Roadrunner Records through its Loud & Proud imprint. 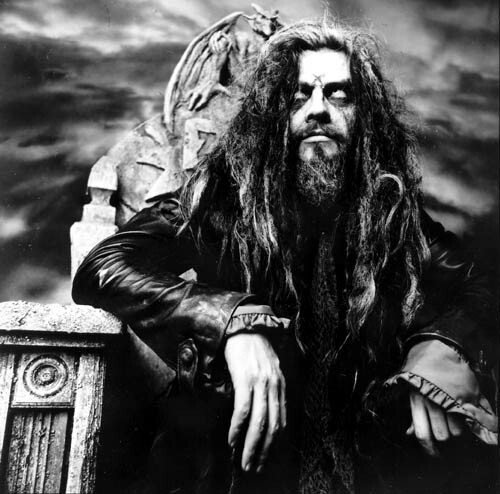 This shocking announcement comes as Zombie exits his former label of eighteen years, where he sold fifteen million records as a solo artist and with his former band White Zombie. Zombie’s new album, Hellbilly Deluxe 2, previously set for release on 11/17 will now be released by Roadrunner / Loud & Proud Records in early 2010. “Roadrunner is thrilled to be involved with Rob Zombie on a worldwide basis as he is a multiple-threat artist whom we’ve admired for many years,” said Roadrunner president Jonas Nachsin. The first single from the new album, “What?” recently launched at all rock radio formats and is quickly climbing the charts. This latest album marks the follow-up to 1998’s triple platinum Hellbilly Deluxe. In support of this release Zombie, will kick off his first headline tour since 2007 in Phoenix, AZ on October 29th. Shows in Las Vegas, NV on the 30th, and a very special Halloween event on October 31st in Hollywood, CA are set to follow. Zombie will be accompanied by his longtime band mates – guitarist John 5, bassist Piggy D and drummer Tommy Clufetos.